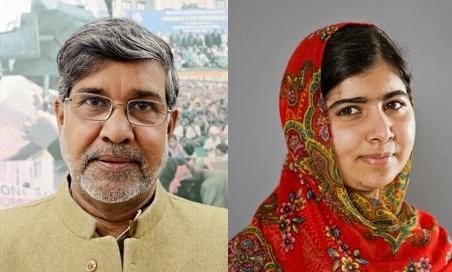 Kailash Satyarthi and Malala Yousafzai wins Nobel peace Prize 2014. Kailash Satyarthi, an Indian children’s rights activist along with Malala Yousafzai, the Pakistani teenage education campaigner shot on school bus in 2012 by a Taliban gunman, has won the 2014 Nobel peace prize. Norwegian Nobel Committee has decided that the Nobel Peace Prize for 2014 is to be awarded to Kailash Satyarthi and Malala Yousafzay for their struggle against the suppression of children and young people and for the right of all children to education. Children must go to school and not be financially exploited. In the poor countries of the world, 60% of the present population is under 25 years of age. It is a prerequisite for peaceful global development that the rights of children and young people be respected. In conflict-ridden areas in particular, the violation of children leads to the continuation of violence from generation to generation The two were named winner of the £690,000 (8m kronor or $1.11m) prize by the chairman of the Nobel committee - Norway’s former prime minister Thorbjoern Jagland - on Friday morning. Mr Kailash Satyarthi has maintained the tradition of Mahatma Gandhi and headed various forms of peaceful protests, "focusing on the grave exploitation of children for financial gain," the committee said at the announcement in Oslo. The 60-year-old founded Bachpan Bachao Andolan, or the Save the Childhood Movement, which campaigns for child rights and an end to human trafficking. President of India, Shri Pranab Mukherjee has congratulated Mr. Kailash Satyarthi on winning the Nobel Peace Prize for his work to abolish child labour in the country. 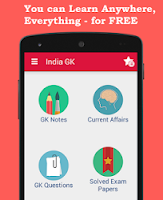 The President has said, “The prize should be seen as recognition of the contributions of India’s vibrant civil society in addressing complex social problems such as child labour and the important role played by them in collaboration with the Government in the nation’s efforts to eliminate all forms of child labour in the country”. Malala Yousafzai - who survived being shot in the head by the Taliban in 2012 — was recognised for fighting for years for the right of girls to education, showing by example that children can contribute to improving their own situations. “This she has done under the most dangerous circumstances,” the committee said.